Wichita’s budget is around $600 million per year — roughly $1,500 per person per year. With that money, the city pays for public safety, water service and special projects like parks, new roadways and improvement districts. With everything that’s included, the city budget is probably the most important document the city council approves each year. It shows us how the next year will operate, where city priorities lie and whether or not we have enough money for a new park or project. And none of that is possible without revenue — roughly half of which comes from taxes. 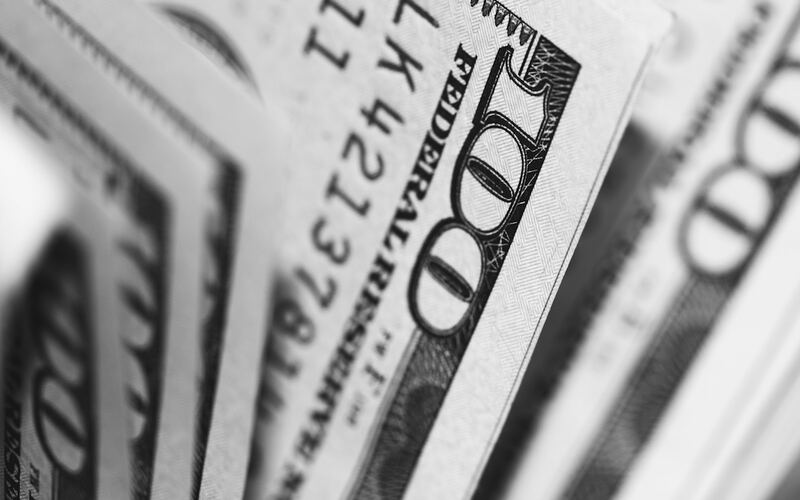 In this article, we’re going to focus on digging a little deeper into the city budget and how we fund it — mainly through taxes. They say nothing is sure in life except death and taxes. And just like some of us probably don’t want to know how we will die, some of us probably don’t want to know how we’re taxed. If you’re one of these people, you may want to stop reading now. While Wichita doesn’t have a sales tax of its own, the city gets a portion of the Sedgwick County sales tax and special state taxes like the motor vehicle tax, gasoline tax and alcohol tax. All of these go to the state before they are distributed back to individual cities. "A mill is really simple," Manning says. "A mill is 1/1000. Now, what is it 1/1000 of? It’s 1/1000 of the assessed valuation of your property." "That is just totally based on the state constitution," Manning says. "There’s no magic on why it’s 11.5%. It’s 11.5% because the state constitution says it’s 11.5%." From there, the mill levy would determine the percentage you pay in taxes for that assessed valuation. Currently, the Wichita mill levy is around 32. So you’d multiply $11,500 by 0.032 to get about $386 in property tax you would pay per year. "Which we think is a pretty good deal," Manning says. "I mean, if you divide that by days, it’s a little over a dollar a day." 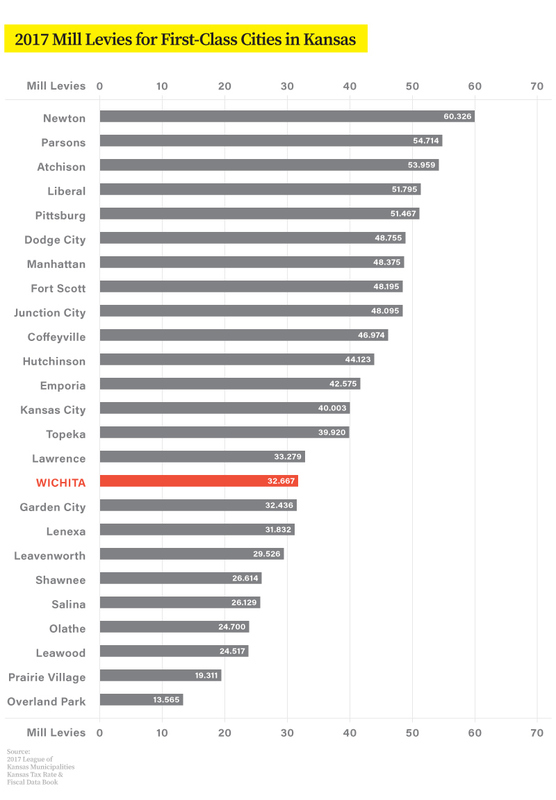 Only nine of Kansas’ 25 larger cities of the first class — as determined by population — have lower rates than Wichita. And all of those cities have additional revenue coming in through sales taxes. "Every single city on this list except for the City of Wichita and the City of Newton have a city sales tax," Manning says. "They have an additional source of revenue that we don’t have, so our mill levy is the tenth-lowest of the big cities in the state, and we don’t have the revenue stream that most of the other cities have." "The only way that a sales tax can be implemented in a community is if it is put on a referendum," Manning says. "The city council would have to approve it being placed on the ballot, and then when it’s on the ballot, the residents of Wichita would vote on it. If they voted to approve it, it would be implemented. If they don’t vote to approve it, it wouldn’t be implemented." Cities can implement up to a 3 percent sales tax — 2 percent for any purpose and 1 percent for very specific purposes. For example, Derby has a 0.5 percent city sales tax, which puts its total sales tax up to 8 percent. Wichita’s is 7.5 percent without that local tax. Additionally, Derby’s property tax rate is 48 mills compared to Wichita’s 32 mills. "A city sales tax has never been passed in the City of Wichita in our entire history," Manning says. "Most other cities in Kansas, particularly the large ones, have a city sales tax. I think it’s fairly uncommon for most large cities not to have a city sales tax." Manning says that doesn’t mean it’s right or wrong. In his position, his role is to inform the council on fact, not persuade them on policy. Policy decisions are ultimately up to voters, who can elect politicians who choose to put sales tax proposals on the ballot, or not. Then, it’s up to the voters again to pass or reject those proposals. Based on only three sales tax proposals in the past 40 years — and zero implemented sales taxes in the city’s history — we seem to have made our policy preferences pretty clear. If you ask anyone — the guy sitting next to you at the airport, the woman in front of you in line at the coffee shop, anyone — they’ll likely tell you their taxes are too high. And heck, we’d all like to pay less for things if we can. But you get what you pay for, and if we don’t pay for quality services in our city, we won’t get them. When we take a look around at other cities, we’re critically underfunded. Cedar Rapids, a city about a third of the size of Wichita, has a similar-sized budget of $516 million. That comes out to $3,935 per person per year. Taxes are not always good, and it’s important that we hold our elected officials accountable for the money they allocate. But we can’t have an honest discussion about taxes if we don’t understand it or even talk about it. The topic of city taxes, expenditures and the budget is not a light one. Wichita’s adopted budget itself is in two volumes with about 360 pages each. But we can’t let that stop us from learning more. For every budget passed by the city, discussions are open to the public and broadcasted on Channel 7. There are also budget workshops on city social media accounts, at district advisory board meetings and the final public council meeting where they pass the budget. The budget exists online, or in paper form, at every city library and Wichita State University’s library. It’s also available at City Hall, where Manning says budget experts can walk people through the document. The next budget process will start in March or April of this year, with a final budget slated to be adopted in August. Start thinking about what you’d like to see from your city, and be prepared to pay for it.